Andrew Luck still has no timeline to return, and Week 1 is now in serious doubt. Mum has been the general word from the Indianapolis Colts regarding the return of Andrew Luck as he works his way back from a shoulder issue. Preseason games are not necessarily a requirement for him, but the longer he goes without a throwing a football the more doubt there is about his status for the start of the season. 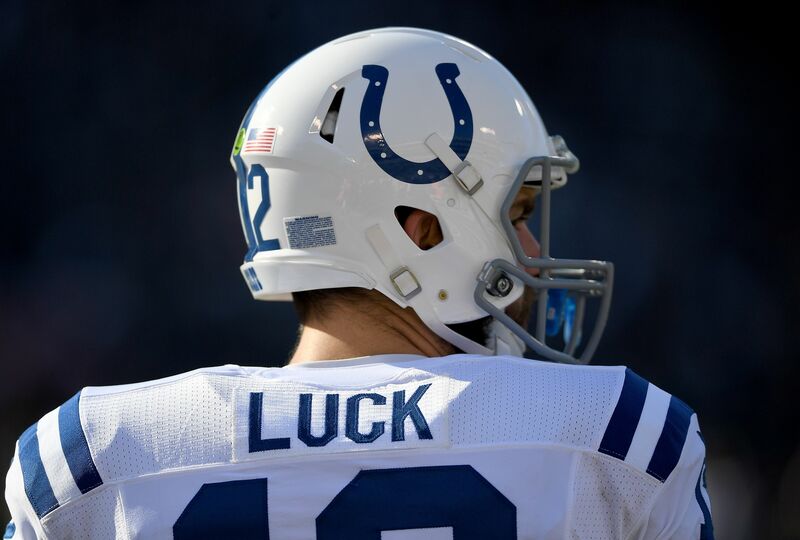 Luck is still on the PUP list, and if he remains so into the regular season he would have to miss at least the first six games. ESPN.com Colts reporter Mike Wells has pointed to Luck’s season perhaps being in limbo, and while that seems like an overstatement a continued lack of real specifics from the team invites the offering of worst-case scenarios. Wells appeared on the Sirius XM show of ESPN fantasy analyst Mike Clay on Thursday, with major pessimism about Luck’s status for Week 1 against the Los Angeles Rams. If Luck is out, for one game or longer, Scott Tolzien and his three career starts is the next man up. There is some growing buzz No. 3 quarterback Stephen Morris will get some time with the first-team offense Saturday night against the Pittsburgh Steelers, but he has yet to throw a regular season NFL pass over three seasons mostly sitting on practice squads. There are a few more experienced options out there, in free agency (Colin Kaepernick, Robert Griffin III) or via trade (Brock Osweiler), but if Luck will only miss one game there are diminished returns to making a notable addition under center. The Colts’ 2017 season, and head coach Chuck Pagano’s fate, rests almost solely on Luck’s return to health and ability to play at a high level. Things are not starting on a good note, barring a miraculous turn in Luck’s progress before Sept. 10.